The Official H-Body Internet Community • View topic - Anyone know wher to find Vega V8 Swap Articles? 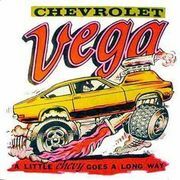 Excellent magazine articles and photos (on pdf) about V8 Vega Swaps. If you go to the website now.......it has changed.... and the articles are gone. ANYONE KNOW WHERE TO FIND THESE ARTICLES? Re: Anyone know wher to find Vega V8 Swap Articles? No. Did not find anything on that site. Any article in particular? That is actually a booklet by Martyn Schoor. He was a writer for CARS magazine and is associated with Joel Rosen of Motion Performance. Good reading.